When Volkswagen was caught systematically cheating on emissions tests, making their diesel vehicles look much cleaner than they actually are, the U.S. Department of Justice (DOJ) filed suit for violations of the Clean Air Act. The company and the DOJ have reached a partial settlement, which is expected to be approved by a federal judge in October. The settlement includes approximately $10 billion in compensation to owners of noncompliant VWs, but also includes $4.7 billion that could help to accelerate the adoption of electric cars and buses. Of the $4.7 billion, $2.7 billion is earmarked for an environmental remediation fund and the other $2 billion for a zero emission vehicle fund. 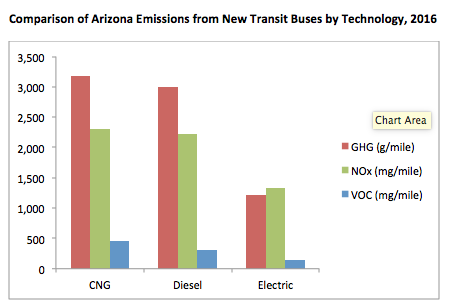 We believe the two big opportunities that come from these substantial settlement dollars are building out the electric vehicle charging infrastructure in the Southwest and replacing old diesel buses with zero emission buses powered by electricity. The settlement allocates $2.7 billion to an environmental remediation fund to reduce emissions of nitrogen oxides (NOx). This is allocated to each state by a formula based on how many VW diesel cars were registered in that state and has a list of allowable uses. It is up to each state to decide how they want to allocate the money within these uses. Up to 15% of the funds may be used to build out the electric vehicle charging network. The other uses allowed are primarily oriented at replacing older diesel trucks and buses with vehicles with much lower NOx emissions. Some of the allowed uses probably don’t achieve much over the long term – such as replacing older diesels with newer diesels, since this is likely to happen anyway – but old diesels can also be replaced with electric trucks or buses. How much will each state get? If each state in the Southwest were to direct 15% of its settlement money to EV charging, this would generate $29 million for charging. 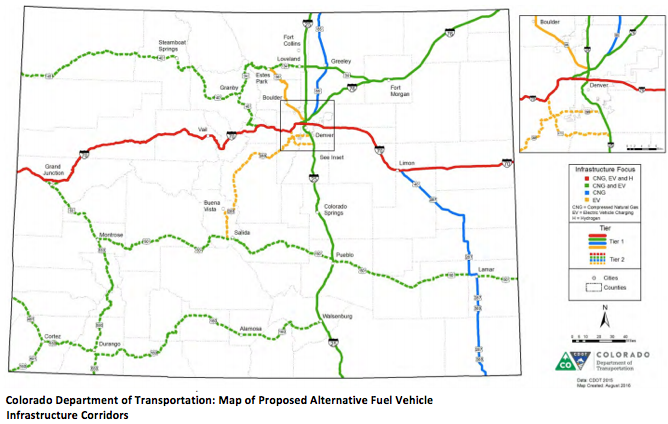 If this were invested, for example, in fast charging along highway corridors it could go a very long way to making it possible to go anywhere in the Southwest with an electric vehicle. Investing the other $164 million primarily in transit electrification would be a huge step to help transit agencies all over the Southwest begin the transition to electricity. The big opportunity is with electric buses. Over the last few years, electric bus technology has advanced rapidly, and many transit agencies are concluding that electric buses can meet their operational needs while reducing noise and pollution, energy use, and greenhouse gas emissions. They are more expensive up front, but because they save so much on fuel costs their total cost of ownership over their lifetime is lower. In the Southwest, several transit agencies have begun to move in this direction: In Albuquerque, the city plans to use electric buses for the new Albuquerque Rapid Transit service; the Regional Transportation District in Denver has purchased 36 electric buses for their downtown shuttle, and the Utah Transit Agency is adding electric buses to routes serving the University of Utah. It will be up to the Governor in each state to designate a lead agency, which must then develop a plan describing how the state will spend the funds. Funds will be available starting in mid 2017 and can be spent over no less than three years and no more than 10 years. In addition, VW will also have to commit $2 billion to a Zero Emission Vehicle (ZEV) fund. Of this, $800 million will go to California and $1.2 billion to the rest of the country. This will go to building out charging infrastructure and to other activities that promote the sales and use of zero emission vehicles. VW will propose the investments, and the EPA will review their plans. Southwestern states should begin discussions with VW now to maximize the likelihood of significant, well-targeted investments that expand ZEV infrastructure and sales across the region. Southwestern states should seize this opportunity to hit the accelerator for electric vehicles. In particular, Arizona, Colorado, Nevada and Utah are among the top 10 states for battery electric vehicle market penetration and show that it is possible to get real traction on EVs in a region of red and purple states, not just bright blue states on the west coast and the northeast. A coordinated multistate effort in the Southwest offers a great opportunity to gain additional federal support for electric vehicles. Each state will be responsible for developing its own opportunities for stakeholder input on the allocation of VW settlement funds. So far, Colorado has announced its process, with a Nov. 7 stakeholder meeting and a Nov. 21 comment deadline. Comments may be submitted online.